In April 2018 RollDock and SAL Heavy Lift join forces for Roll-On/Roll-Off and Float-In/Float-Out heavy lift cargoes. The pool consists of the combined fleet of six vessels and is managed by RollDock with SAL providing specialized heavy break bulk cargo support. A great new adventure has commenced between RollDock and SAL Heavy Lift. Both companies represent industry leading brands and solutions within their respective fields of heavy cargo transportation. RollDock has over the past decade developed into a world recognized Roll-On/Roll-Off + Float-In/Float-Out carrier with their fleet of the most technically advanced dock type vessels. SAL Heavy Lift has for over 37 years, been a symbol of premium project shipping solutions with their fleet of high class heavy geared vessels. Offering unmatched opportunities for project markets world-wide, RollDock and SAL stand together at the very forefront of technical marine heavy transport. The pool consists of six geared dock vessels, all being operated under the RollDock brand. Five of the vessels come from the existing RollDock fleet (S and ST class vessels) and one from SAL (Combi Dock I). Through a strong global network of offices and agents, the pool has representation in all major regions. Both companies also continue independently and operate vessels outside the pool. SAL Engineering GmbH is established as an independent engineering house within the Harren & Partner Group. SAL Engineering becomes a sister company to SAL Heavy Lift GmbH, and is utilizing from the know-how, and practical experience that has been obtained over the past 35 years creating engineering solutions for the worldwide recognized project carrier. Harren & Partner and "K" Line, Tokyo, have reached an agreement for Harren & Partner to acquire German carrier SAL Heavy Lift on 27 July 2017. SAL will become the new dominant player in the super heavy lift segment (900 t to 2,000 t crane capacity). Bremen-based shipping company Harren & Partner is proud to become technical manager of Wind Lift I. Harren & Partner's Offshore Department, headed by Robert Fowler (offshore@hp-shipping.de), will be responsible for managing the jack-up vessel starting in April. The Bremen-based Harren & Partner Group celebrated the opening of a new office in Kingston, Jamaica. This location is home to multiple companies: H&P Ship Management Office Kingston, H&P Caribbean Maritime Services, and the newly founded German Ship Repair Jamaica Ltd., a joint venture of Kloska Group and local partners Jamaica Dry Dock. German Ship Repair Jamaica will primarily expand its mobile ship repair service and build a dry dock in Kingston, one of the Caribbean's economic centres and a main maritime hub. The dock alone will create hundreds of jobs in the city. Heavy lift expert Combi Lift handles all operations from its new headquarters in Bremen, Germany since 1 November 2014. After establishing Combi Lift as one of the leading companies in the ocean transport of heavy lift and project cargoes, H&P decided to concentrate all technical and commercial activities of their subsidiary in one office close to the H&P Group. H&P has been appointed as Technical Ship Manager for FPSO "CRYSTAL OCEAN", further strengthening its position as a specialist within the offshore sector in the Gulf of Mexico. This Floating Production Storage and Offloading unit is owned by our long-time partner Blue Marine Technology and chartered out to Mexican state-owned oil major PEMEX. H&P is happy to announce that we've successfully improved our manning for parts of the fleet. Instead of starting an entirely new office, we entered into a partnership with the crewing agency "Döhle Seafront Crewing (Manila) Inc.". As a result, we benefit from an established office setup, a valuable network, as well as our partners' extensive experience in the Philippine crew market since 2009. We set up a new ship management office in Ciudad del Carmen to render fast and efficient ship management services to our vessels and customers in the offshore sector. This will serve as a local representative and supportive operational institution to the H&P managed offshore units in the Gulf of Mexico. Shipping companies Briese and Harren & Partner have established a revenue pool for heavy lift vessels to benefit from above average pool employment as well as profitable individual trades. The specific market expertise of the BBC Chartering (Briese) and Combi Lift (Harren & Partner) subsidiaries will help consolidate the market for heavy lift transportation services. In early March 2014, we started implementing two new GL Ship Manager ("ShipManager Analyzer"; "ShipManager QHSE") software systems on-board 52 vessels in our fleet. The first systems are expected to be up and running as soon as April and implementation for the entire fleet should be concluded mid-year. H&P made an important move to enlarge its tanker fleet by taking over five units within a remarkably short time. Two Panamax tankers of 73,400 TDW each, built in 2006 and 2007, as well as three small handysize tankers of 20,000 TDW further enhance Harren & Partner’s reputation as responsible and cost-efficient ship managers. Harren & Partner opened its own crewing office in Turkey in early 2013, which is now fully up and running with eight employees. This significant branch launch is a major step towards our goal of establishing our own crewing agency for parts of the Harren & Partner fleet. H&Ps is pursuing its strategy of a diversified fleet by building the two largest units so far: "PABAL" and "PABUR", two Panamax-class bulk carriers capable of carrying 76,000 tons. Ice class E1 enables the vessels to travel through ice-exposed regions. The modern design combined with an unusual draught opens up further employment opportunities. The vessels also have a CO2 extinguishing system that can quickly fill cargo holds with carbon dioxide to keep highly flammable cargo like fodder from igniting. The joint venture involving the shipping group Harren & Partner and institutional investors, represented by J.P. Morgan Asset Management, invests in modern and young heavy lift vessels - specifically ones in the ultra-heavy-lift-dry cargo segment with a crane capacity of more than 500 tonnes. The ships are predestined for projects in the oil-, gas- and mining industries, as well as in the area of alternative energy due to their structural preferences. These ships are also able to manage ambitious transports of high-duty plants for infrastructural projects. Harren & Partner purchased two heavy lifters from an insolvent shipping company by public auction. The vessels will join the Harren & Partner fleet under the names of "EIT PALOMA" and "EIT PALMINA". After being used for carrying large power transformers, one of the ships will support the implementation of the world's biggest liquefied natural gas project off the coast of Australian. We are the first German shipping company to enter the offshore oil production industry. In 2011, a collaboration between Harren & Partner and Norwegian Global Mooring Services by the name of "Offshore Installation Group" announced the cooperation with Goldman Sachs Capital Partners (GSCP) in this field. In addition to the "OIG GIANT I" vessel already prepared for this purpose, the dock ship MV "COMBI DOCK IV" (now "OIG GIANT II") will be modified for special offshore operations. The MV “PALANPUR” is the fifth of six vessels of this heavy lift series we custom designed and launched. The 10,000 TDW special freighter with 94 metres continuous cargo hold and two cranes with a combinable safe working load up to max. 900 tonnes was originally intended to be chartered by K/S Combi Lift – until Korean Hyundai Merchant Marine showed interest and contracted the ship under the name of “HYUNDAI PHOENIX”. The Korean company will also charter the sixth vessel in the MV “PALMEROLA” series. 2010 – Series completed with the delivery of "COMBI DOCK IV"
At the beginning of the year, Lloyd Werft Bremerhaven launched the last in a series of four dock ships with the delivery of the MV "COMBI DOCK IV". The Combi Dock freighters represent the largest single order the shipyard has ever received from a German shipping company. The Harren & Partner Group celebrates 20 years of success this year, which is proof that founder Peter Harren had and continues to have the right idea: diversification as a key factor for success. With around 1,800 employees aboard and 145 ashore, we can look to the future with optimism and continue our trusted collaboration with our business partners. Jiangnan shipyard in Shanghai delivers the 50th vessel in the Harren & Partner fleet, the chemical tanker "PATANI". Business graduate Imke Harren, Peter Harren’s daughter, joins the company as his assistant, taking over internal corporate communications. A new chapter is written in the history of Harren & Partner when Lloyd Werft Bremerhaven hands over "COMBI DOCK I". The special tonnage developed in cooperation with K/S Combi Lift will remain something of a novelty for years to come, as this is the first ship to combine the functions of a dock ship with those of a Ro-Ro and heavy lift vessel. Harren & Partner acquires the established Hamburg-based company "Condock Befrachtungs-Gesellschaft". In addition to gaining extensive chartering expertise, the Harren & Partner Group also acquires four dock ships, adding another exciting segment to the existing fleet. Logistics solutions specialist H&P Logistics & Engineering is founded under the direction of Heiko Felderhoff to meet the growing demand for customised transport solutions for complex heavy lift and project cargo. Harren & Partner launches an electronic planned maintenance system to ensure proper and precise fleet maintenance. This system is initially implemented internally on a test basis on board the eight tankers before going fleet-wide. The building extension increases capacity to a good 4,750 m², allowing room for a spacious bistro and apartments for captains and officers. Peter Harren had a vision for a yacht-sized ship seaworthy enough to travel anywhere in the world. He commissioned Fassmer Werft to build a true expedition yacht with the highest ice class and advanced navigational equipment. The MY “HANSE EXPLORER” now gives up to twelve passengers the opportunity to visit the most remote places on earth, from Antarctica to the Arctic. Dr. Martin Harren, Peter Harren’s son, joins the Harren & Partner Group. He is responsible for the strategic direction of Fund Conception and Ship Financing, and well as business accounting for the individual shipping companies. Shipping companies Jüngerhans and Harren & Partner establish the trans-Mar-supply purchasing cooperation to take advantage of the synergies of a large fleet. Under the direction of graduate engineer Wolfgang Volkens, the company now organises all strategic and operative purchasing activities for around 100 vessels, significantly reducing operating costs. H&P establishes its Safety & Quality Management division to ensure the safety and quality of the fleet and its crew and the environment. All vessels belonging to the Harren & Partner Group are certified according to ISM Code requirements and ISPS safety standards. 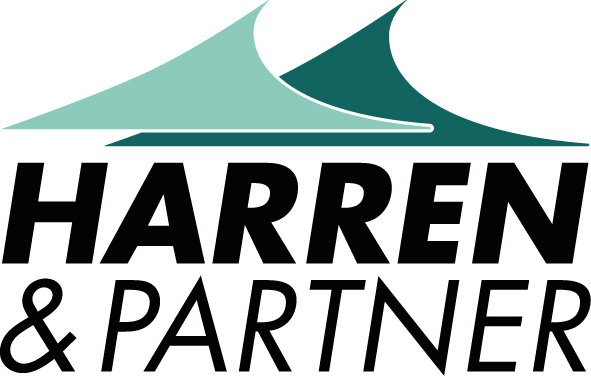 Harren & Partner continues with its development strategy and branches out into another ship segment. The acquisition of the chemical tankers "Sichem Padua" and "Sichem Pandora" from the Norwegian shipping company Tschudi + Eitzen sees the integration of its first tankers into the fleet. To meet the high standards of a modern fleet, H&P orders a series of eight state-of-the-art chemical tankers from the Jiangnan shipyard in Shanghai. Peter Harren and wife Anna get further family support when solicitor Brigitta Harren joins her father's company, taking over the Legal and Personnel departments for on-shore employees. All departments relevant to operational ship management undergo restructuring to ensure the best possible management of the highly diversified fleet in future. A team of operators, purchasers and technical inspectors was formed to handle the specific requirements of “their” segment – whether heavy lift carriers, dock ships, tankers, bulkers or container feeder vessels. Following a long and trusted collaboration with the Danish shipping company J. Poulsen Shipping in the area of heavy lift cargo shipping, Harren & Partner set up the joint venture K/S Combi Lift to cover the heavy lift and project market. In addition to major fleet expansions over the first ten years, staff numbers have also continued to rise. This forced Harren & Partner to leave its offices on Universitätsallee and relocate to the newly built office building in the Oberneuland Office Park. Facing expired charter contracts and a lack of alternatives in the Caribbean, Peter Harren wasted no time in branching out: Harren & Partner established the joint venture CFS with partners from the USA and Jamaica. Now transporting approx. 300,000 TEU per year, CFS is the largest independent feeder service in the Caribbean. Currently comprising around 20 vessels, the expanded fleet reaches a new high with the acquisition of the largest units to date, the two Panamax bulk carriers "PAIUTE" and "PEORIA" with approx. 70,000 TDW. Successful company development enables Peter Harren and his team to start offering apprentices a diversified and instructive working environment. The first two trainees in the Harren & Partner Group start their apprenticeships to become shipping and chartering managers. A reliable and lucrative fleet convinces more and more investors of the profitability of H&P funds, increasing the number of limited partners of Harren & Partner to over 1,000 investors. The fleet is diversified and expanded with the commissioning of the four sister ships "ULTRAMAR", "TRANSMAR", "SOLYMAR" and "PARAMAR", a combination of mini-bulker and multipurpose cargo ship. This lays the foundations for the key philosophy of the Harren & Partner Group: diversification as a key factor for success. Peter Harren has no intention of limiting activities to just one segment: The building contract for the MV “PALAMOS”, a heavy lift carrier with Ro-Ro stern ramp, goes to the Peene-Werft shipyard and sets the course for a multifunctional fleet. The Estaleiros Navais de Viana do Castelo shipyard in Portugal is asked to build the first container feeder vessel. The 398 TEU vessel goes into service in 1994 under the name “PARANGA”. The successful operation of the MV “ORION III” enables the first two newbuilds MV “PADUA” and MV “PANDORA” to be put into service – two 3,600 TDW multi-purpose carriers. After spending 12 years at sea and completing his degree in business studies at Hamburg University, captain and business graduate Peter Harren decided to devote his extensive experience at sea and on land to setting up his own shipping company in 1989. The success story of Harren & Partner begins with the acquisition of the MV "ORION III".